Akbar&Armaghan (Gorgan, Iran) on 27 April 2014 in Landscape & Rural and Portfolio. Beautiful colors and composition ! Beautiful scene and photo with a nice matching title. Gorgeous shot! Love the starkness of snow and bare winter trees and how it lets the orange pop! Precious! It is as if the winter decided to give a preview of what was to come. Beautiful. Awe inspiring image .. the spots of rouge on the snow is wonderful ..! 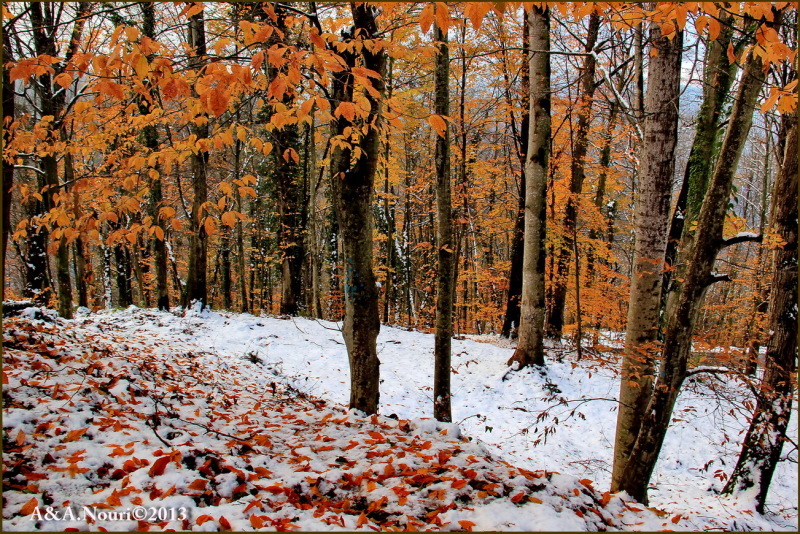 wonderful combination of Autumn coloured leaves and snow!